Episode 028 is a rip-roaring good time! It is also our last Donut Show episode — at least for a while… But we wanted to make sure we went out on a high note, so we have two special guests for your entertainment pleasure: We have TV personality, restaurateur, and one of the “Wing Kings” of North America, Mr. RICK SMICIKLAS … and we also have attorney, blogger, stand-up comedian / storyteller, and IRONMAN triathlete, Mr. ELI McCANN. 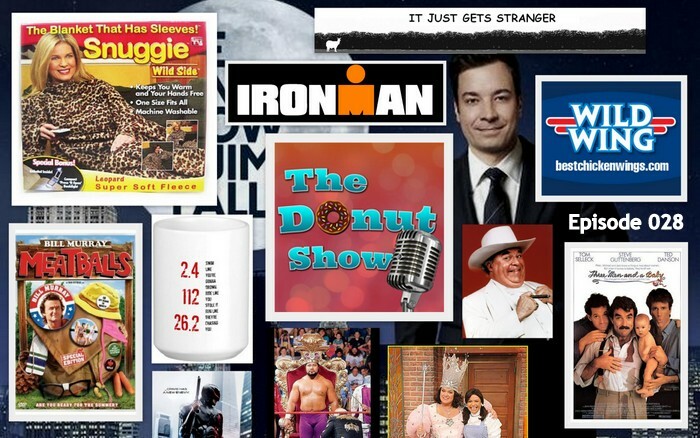 The Donut Show was a weekly podcast hosted by Jason Pyles, Keith Stein and Willis Wheeler. You can subscribe to our podcast FREE in iTunes, and please leave us a review while you’re there! Thanks for listening. Welcome to Episode 027 of The Donut Show. This week your hosts Willis Wheeler and Jason Pyles bring you an in-depth interview with pro wrestling legend J.J. DILLON, dual Hall of Famer and the leader of the original Four Horsemen. 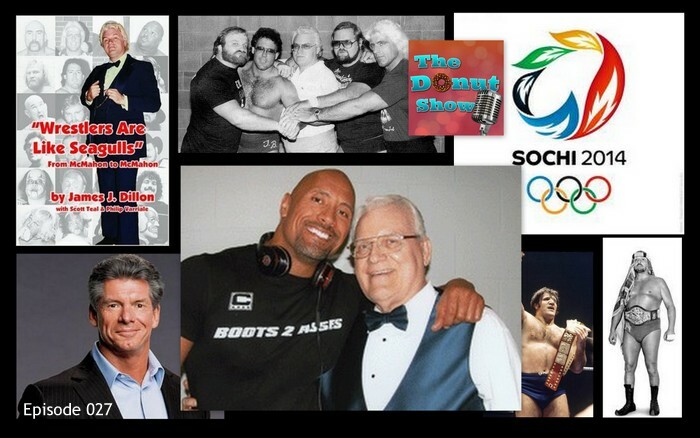 We also briefly discuss the Winter Olympics 2014 in Sochi, but the majority of this episode is a stroll down Memory Lane of pro wrestling history! Enjoy, and join us again next Thursday for our usual pop culture shenanigans! Hi, and welcome to Episode 026 of The Donut Show. This week we bring on the illustrious hosts of the forthcoming show Pour Sports Live Podcast, TJ CREMEANS and ARIC TOWN. These guys help us conduct a postmortem on what happened to Denver during Super Bowl XLVIII; we also list the all-time greatest quarterbacks (and the criteria for determining such a list); we talk about the halftime show with Bruno Mars and The Red Hot Chili Peppers; we discuss the weak crop of Super Bowl commercials this year; you’ll hear our thoughts about David Beckham; the greatest martial artists of all time; and much more! 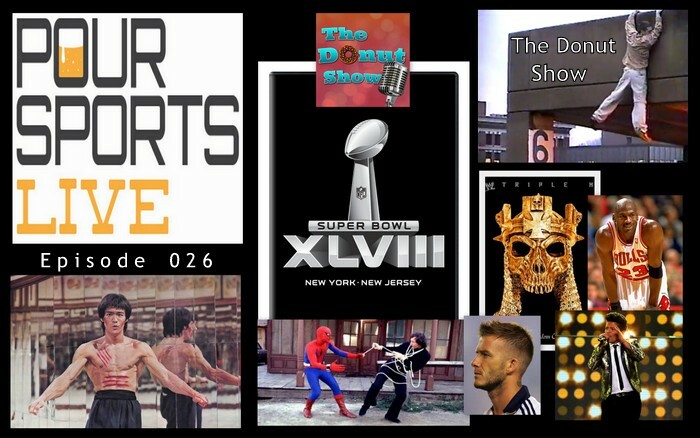 In Episode 025 of The Donut Show, we bring you an interview with MODEL SABRINA GOODMAN, who talks to us about her craft, about Super Bowl XLVIII, the 56th Grammys and much more! Don’t miss it! This episode is dedicated to 8-year-old Tyler Doohan, a hero. Welcome to Episode 024 of The Donut Show. 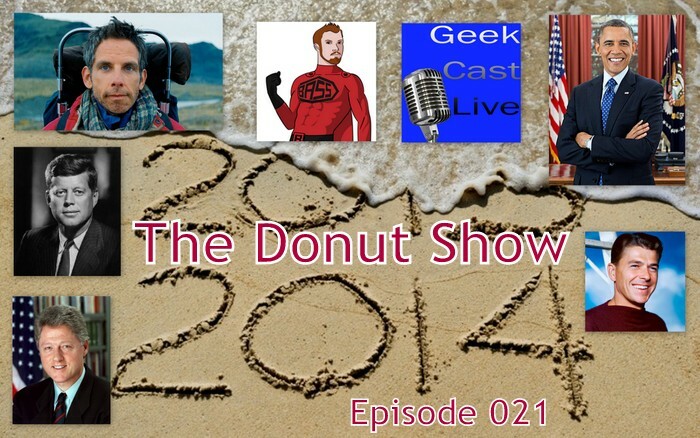 This week our special guest is GEEK CAST RY of Geek Cast Live Podcast. 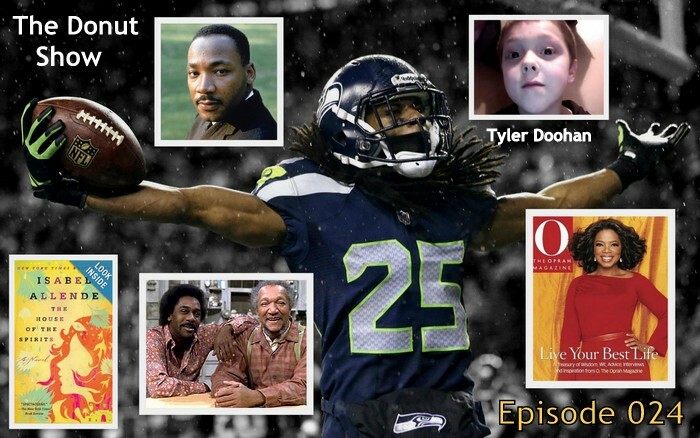 In this show, you’ll hear your favorite podcasters talk about Martin Luther King Jr. and “Civil Rights Day.” You’ll also hear a discussion about the relevance of Oprah, the controversies surrounding the Seahawks’ Richard Sherman, Sanford and Son and much more! Welcome to Episode 023 of The Donut Show. This week our special guest is truck driver and writer SCOTT TEAL of Crowbarpress.com. 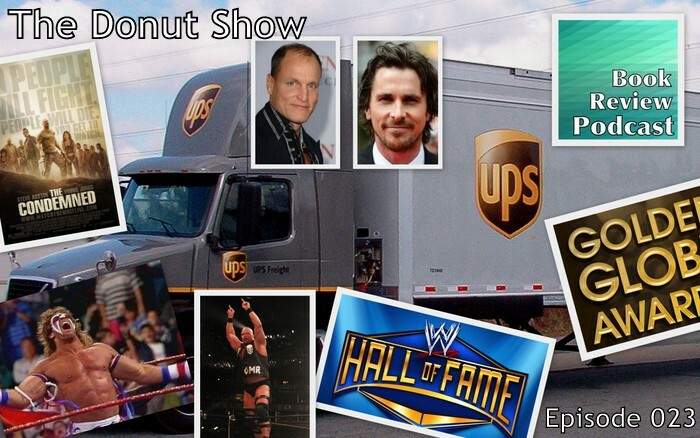 For this week’s edition of The Donut Show, our pal Keith Stein couldn’t make it, so you’ve got Willis Wheeler and Jason Pyles holding down the fort, talking about THE DEEP WEB, the legendary WE ARE THE WORLD recording, and some huge news for wrestling fans about how the WWE NETWORK’s GOING DIGITAL STREAMING! This is a great episode. You’re gonna love it! Happy new year! We are excited to bring you the 2014 version of The Donut Show, where three grown men eat donuts and talk pop culture and life. Our special guest this week is ROB BASS of the Geek Cast Live Podcast. In this episode we talk about the best-looking U.S. presidents, the lack of racial diversity in superhero films, a little reflection on 2013, and of course, a look at 2014. 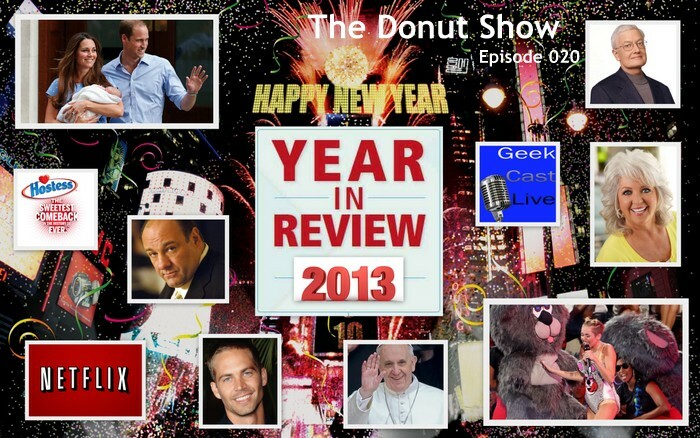 It’s almost the new year and our final broadcast for 2013 of The Donut Show, where three grown men talk about donuts, pop culture and life. Before we embark on another year of zany podcasting in 2014, we wanted to give you Episode 020: YEAR IN REVIEW 2013. And after you’re finished listening to this episode, go check out our geek friends’ brand new show at Geek Cast Live Podcast, a sister show to this one that may even come close to rivaling us in crazy factor. 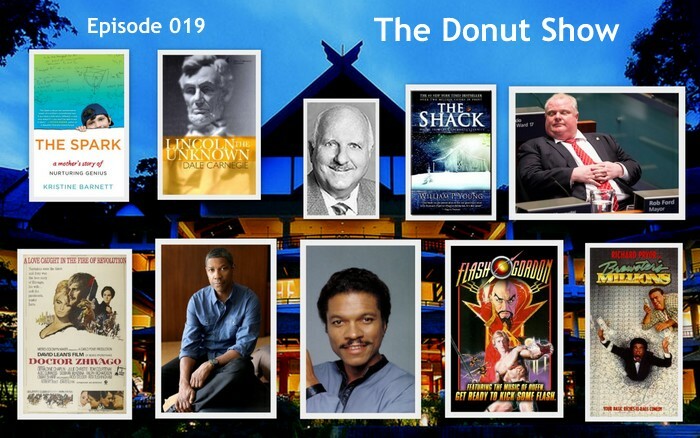 This is Episode 019 of The Donut Show. For this episode, our distinguished guest this week is JIM GINOU, a father, a philosopher, traveller, business leader, adventurer and true romantic… During this show, you’ll hear Jason, Keith and Willis mix it up with Mr. Ginou about Mayor Ford, celebrity encounters, literature, love and many other wonders… You’re gonna love it.